Ball drive chains to fit to the ball drive systems for the self-stacking belt drive systems. Ball Chain drive systems are a special chain type, utilised only within Self Stacking Spiral Belt Freezer/Cooler Drive systems. Silcoms now have a number of chains installed within Self Stacking Belt Drive Systems which have been operating successfully in a production environment for a substantial time period. Silcoms Ball chain, can be utilised to replace completely your existing Ball Chain System, or can replace worn ball chain sections as it is totally compatible with your original ball chain currently installed. Keeping your chain in good condition will ensure your drive system is performing at peak efficiency. 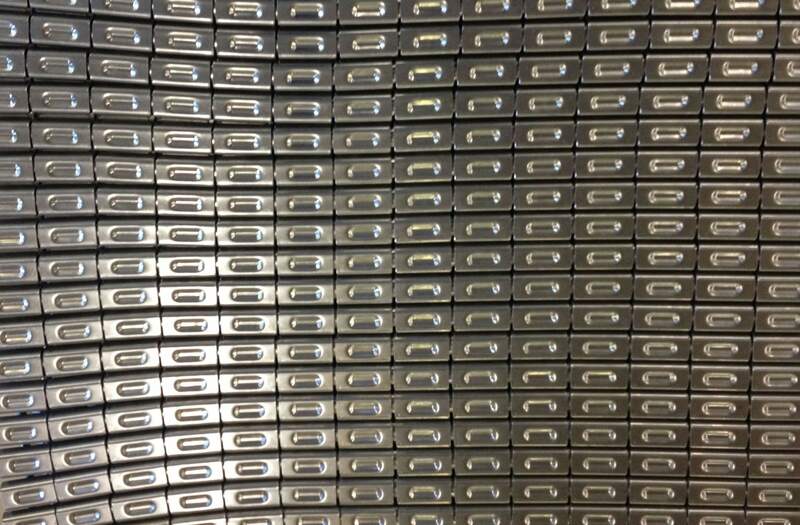 It will help you to achieve maximum throughput by eliminating production stoppages resulting from belt jams. Once installed, your drive system will be restored to its original condition. The Ball chain can extend the service life of your drive system for many years. 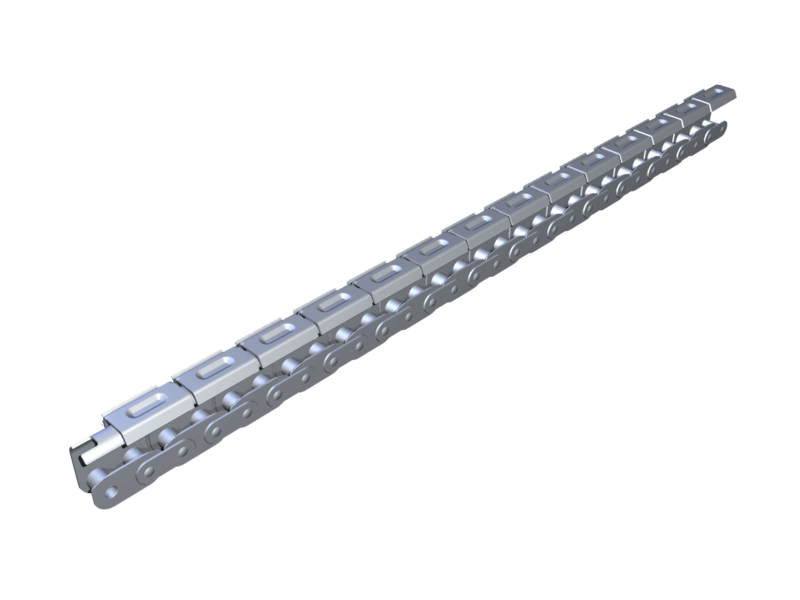 The Ball Chain Design must be able to successfully interface with plastic type rollers and guides, and must also be capable of working within the extreme temperature changes which take place within the freezer chilled cold rooms hence the importance of extreme chain tolerances. The key to Silcoms chain reliability is consistency in design and manufacture. Maximum chain strength and resistance to wear are achieved by strict control of the material specification and by using state of the art heat treatment processes. Fatigue life is improved by maintaining precise fits and tolerances between the pins, bushes and side plates. Chain and sprocket life are optimised by the rigid control of pitch accuracy, resulting in excellent gearing, lower friction, reduced wear and a reduction in noise levels during operation. Silcoms have successfully designed manufacturing tooling and presses specifically used only in the manufacture of this specific chain type.